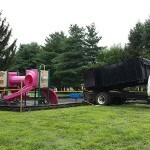 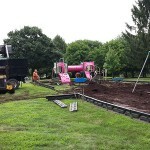 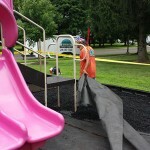 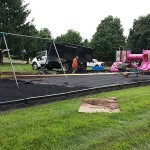 Rubber Mulch for Playgrounds at Schools, Parks other property types in Bucks County and surrounding areas. 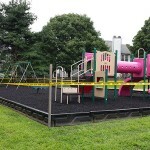 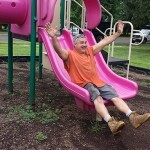 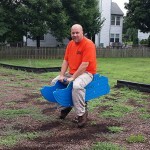 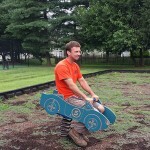 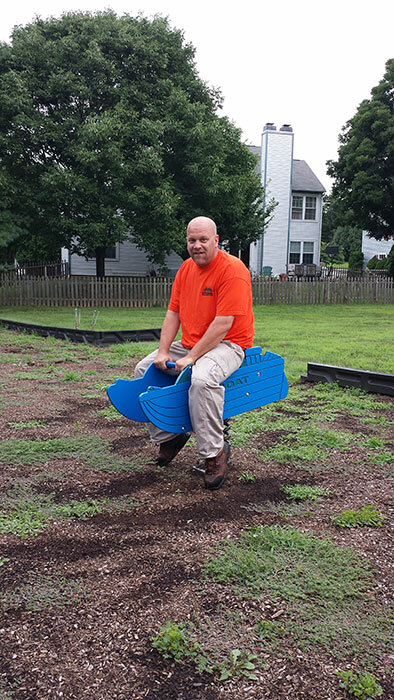 Tired of replacing that old wood playground mulch year after year? 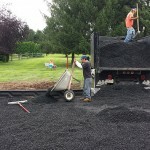 If you’re a property manager or home owner association looking to use a longer lasting rubber mulch, give us call. 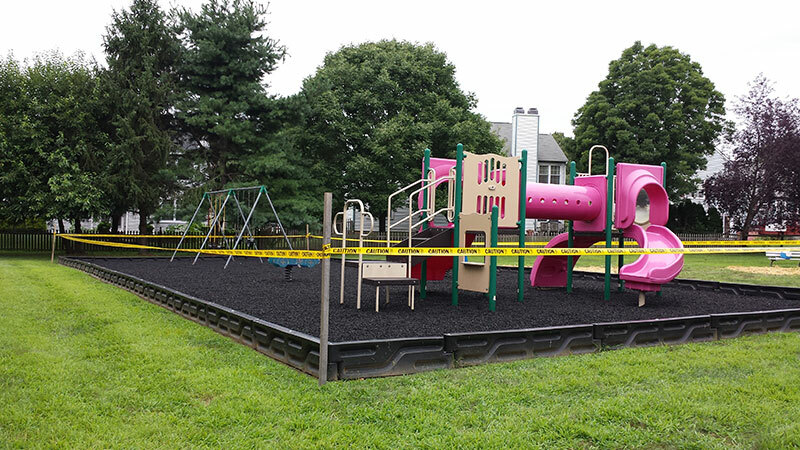 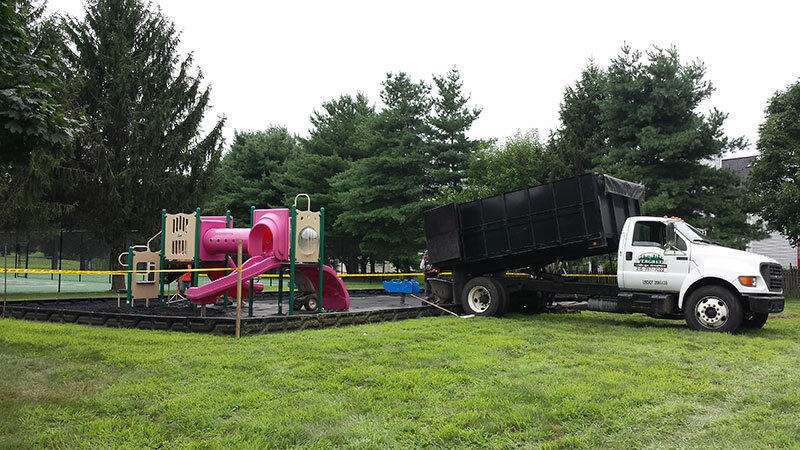 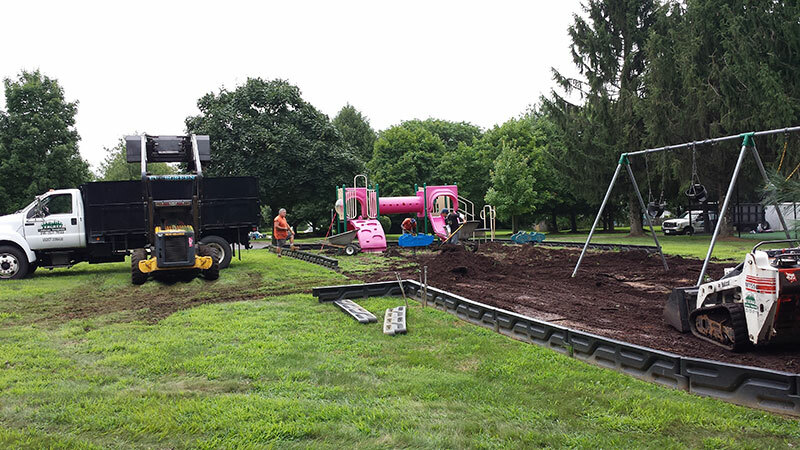 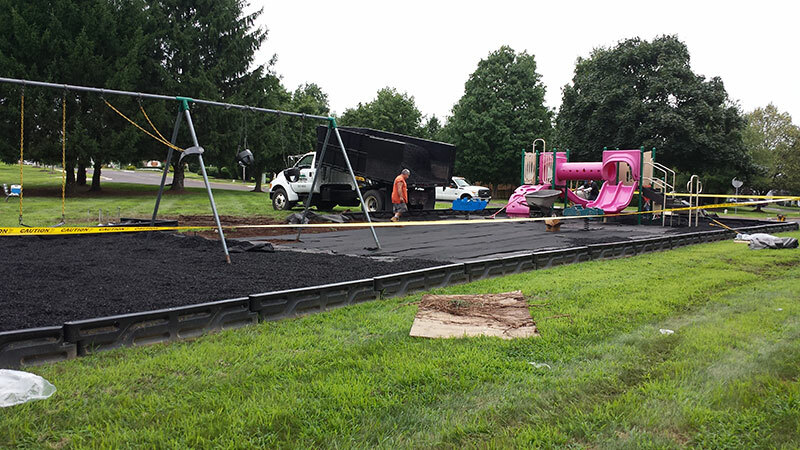 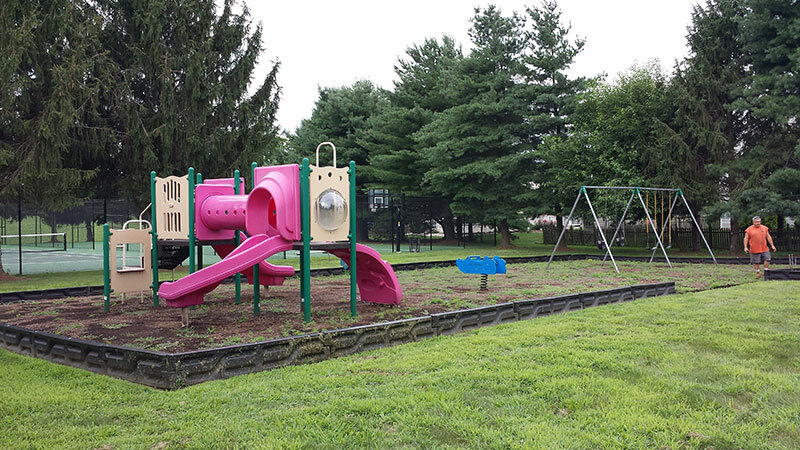 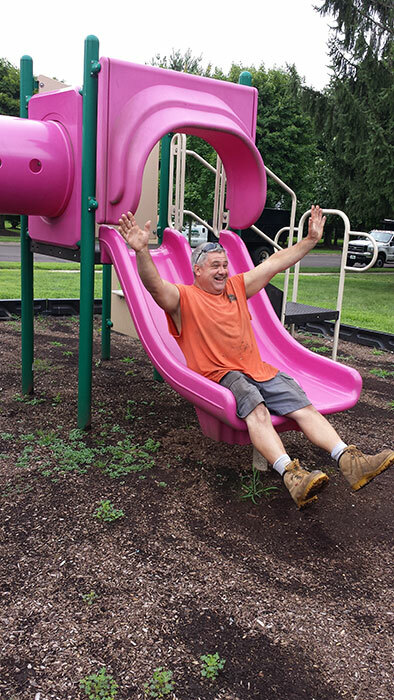 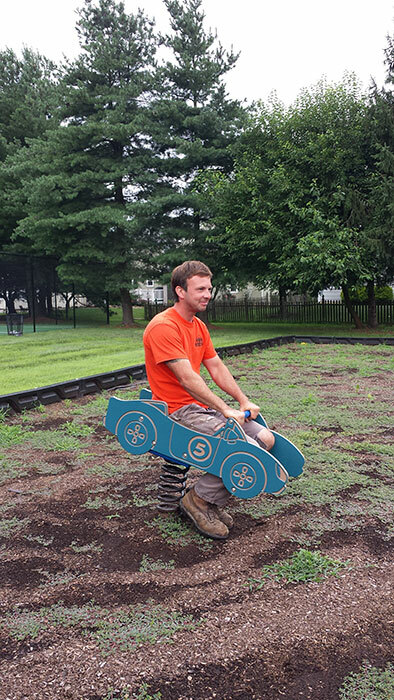 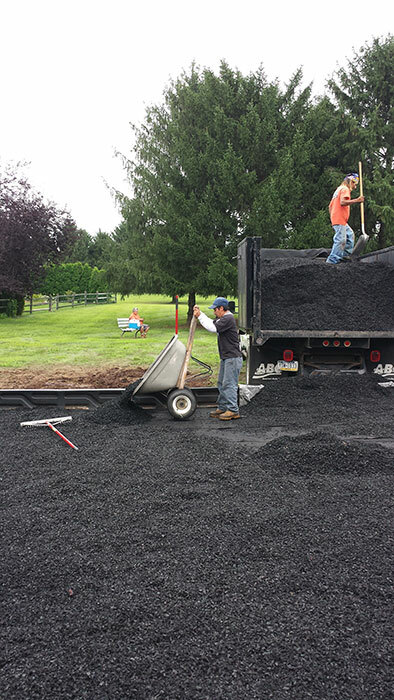 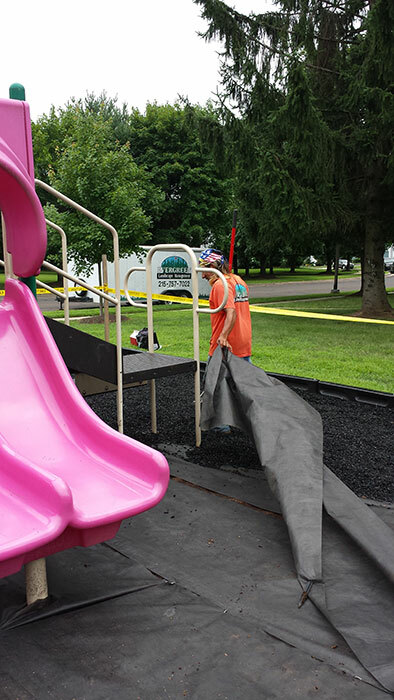 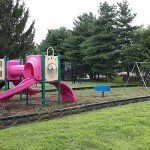 We removed the existing wood playground mulch at this Newtown PA home owners associations’ playground and replaced it with beautiful black rubber mulch.